Summer has officially begun here in the Philippines! ðŸ˜Ž And if you're like most families, summertime is probably the highlight of your year. It's the time when the kids are on summer vacation from school and we, as parents, can spend our hard-earned vacation leaves on some much needed quality time with our family. But before you set off or jet off to your favorite summer destination, here are a few safety tips that I learned at the Joie Baby Gear Launch that will make your summer trips even more fun-tastic! Did you know that your child needs to be in a car seat until he/she is twelve (12) years old? According to the Road Safety Talk during the Joie Baby Gear Launch, done by J.P. Tuason of Tuason Racing School, car seats aren't just for infants and toddlers because their anatomy is not yet developed to align properly with the level of a standard car seatbelt. Using a standard car seatbelt (without a proper booster seat) on a child 12 years old and below can actually be fatal -- crushing their ribs and/or collar bones upon impact. In May 2017, the â€œChild Safety in Motor Vehicles Act of 2017â€� was approved by the House of Representatives and is now for deliberation in the Senate. This comes at an important time, because in the Philippines alone, it is reported that an average of more than 600 children have died in road crashes from 2006 to 2014. If you've been thinking of buying a car seat but are cringing at the thought of the expense, why not checkout Joie Baby Gear's every stageâ„¢ Car Seat? Joie Baby Gear's every stageâ„¢ Car Seat holds, hugs, adapts, and protects little ones all the way up - beginning as a rearward facing seat from birth to 18kg, and converting to a forward facing seat from 9-36kg. That's one (1) seat for all four (4) stages. To learn more about the appropriate car seat for your child's age, height, and weight, visit the Safe Seats 4 Kids Car Seat Guide published by the American Automobile Association, Inc. Yes, even adult passengers seated at the back should wear a seatbelt. Why? According to a recent study by the Insurance Institute for Highway Safety, passengers in the backseat are 46% more likely to die in a car crash than front seat passengers and drivers because many people fail to wear seatbelts when they sit at the back. Especially when travel in taxies, rented cars or vans. The study revealed that while backseats are still the safest place for children under the age of 13, in general, as the age of the backseat passenger increases, so does his or her risk of death during a motor vehicle accident. A rider can sustain serious personal injuries even at slow speeds. Watch this video clip shared at the Joie Baby Gear Launch to see an actual footage of the huge difference wearing a seatbelt makes versus not wearing a seatbelt makes, even when seated in the passenger seat. Please scroll through to 11 mins and 50 seconds to view the clip I mentioned. It is recommended to TURN ON SOUND to hear J.P. Tuason's narration of the events in the video clip. One thing we cannot avoid is our children falling asleep in the car. When this happens, our tendency is to either remove them from their car seat and cradle them in our arms or sit them on our lap reclined onto our chest or leave them in the car seat and just adjust their neck when we can. But having their necks in an awkward position, no matter how momentary, still exposes them to the threat of injury -- after all, accidents on the road can happen in a split second -- and our children can sustain "whiplash," or worse completely break their neck, resulting in a fatal injury. 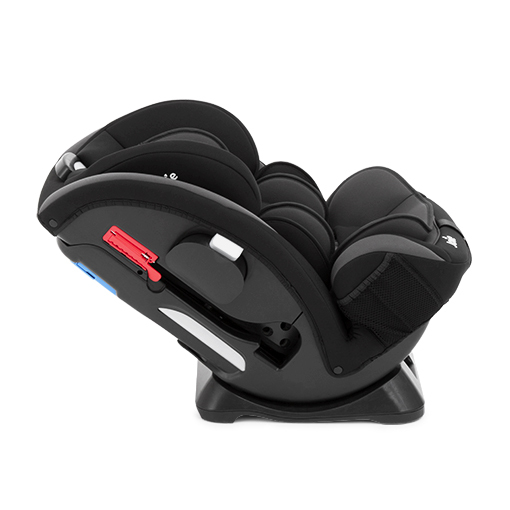 The feature that I appreciate the most about Joie Baby Gear's car seats is that it can recline to a point that prevents a child's neck from being strained forward, sideward or backward when they fall asleep -- thus alleviating the risk of neck strain and neck injury. Joie Baby Gear aireâ„¢ lite stroller. Probably even lighter than an average momma's handbag! 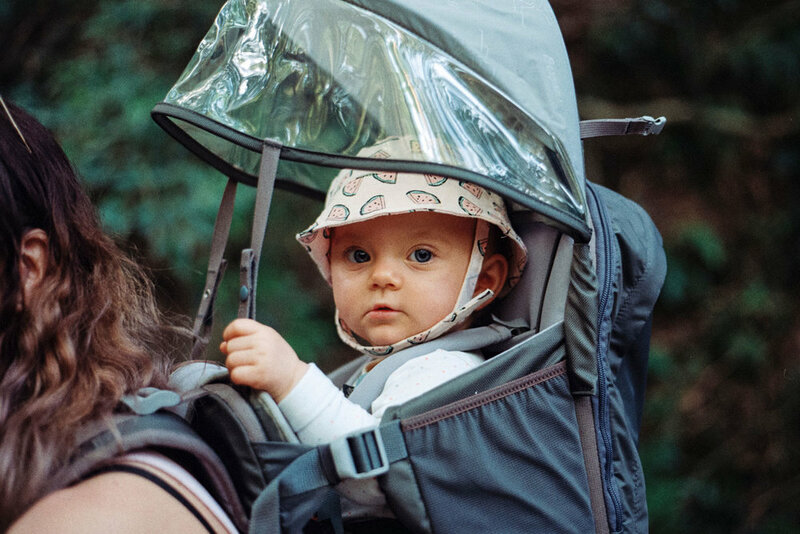 Another amazing product by Joie Baby Gear that facilitates comfort and safety, not just for your child but for you as well, is the Joie Baby Gear aireâ„¢ lite stroller. It weighs only 4.89kg and conveniently folds using only one hand. It also has a strap so you can carry it on your shoulder almost like a handbag -- except the Joie Baby Gear aireâ„¢ lite stroller is probably even lighter than an average momma's handbag! But why? does this matter? According to most Orthopedic doctors, you should not be carrying anything more than 20% of your bodyweight, even less for some people who have certain physical disabilities such as heart problems, hyper tension, migraine, or those with recent or previous muscle or bone injury. So when we're traveling with our kids, we're definitely carrying not just our bags but also them from time to time, especially when they get tired from walking. But carrying a heavy weight for a prolonged period of time can lead to Myofascial Pain Syndrome (MPS) that can be caused by excessive strain on your muscles, especially the trapezius muscles, which are one of the major muscles of the back and is responsible for moving, rotating, and stabilizing your shoulder blades and extending the head at the neck. MPS in the trapezius muscles can be responsible for chronic headaches and can trigger migraines. So if you've been canvassing different brands and have been leaning towards a brand that costs less, just remember: our children's lives are priceless. Don't sacrifice comfort and safety for a few thousand peso difference. Camille Prats-Yambao is partnering with Joie Baby Gear here in the Philippines to help raise awareness for childrenâ€™s safety when travelling. "I believe that safety is important, especially when we're on the road with our children,â€� says Camille Prats-Yambao. â€œThat's why I am so thankful that finally, we will soon be required to make sure our babies and children are protected while they are riding in vehicles. It's also great that Joie, one of the best brands trusted by parents around the world for this purpose, is also now available here in the Philippines." â€œI know that here in the Philippines, a lot of parents are not used to putting their babies and toddlers in car seats, but in other countries it has been required for a long time already, because of the safety factor. So itâ€™s about time that we focus on keeping our children safe when travelling,â€� according to Camille. â€œUsing the Joie car seat gives me peace of mind, and greater mobility too, while riding in the car. 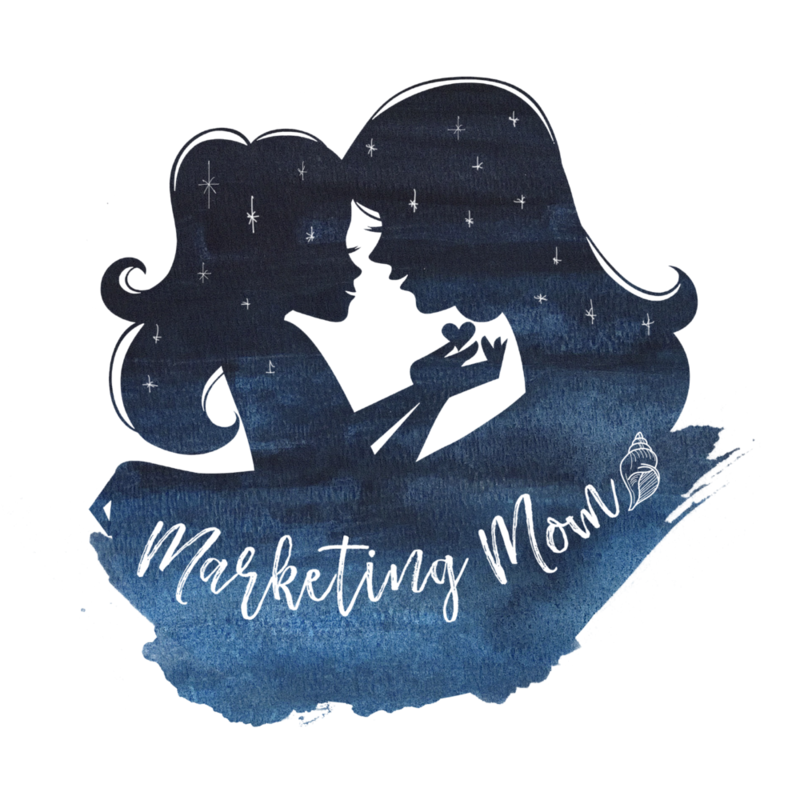 At least I donâ€™t have to carry the baby all the time while on the road â€“ which is less hassle for me, and keeps the baby calm and happy,â€� she adds. â€œYou can't really put a price on your children's safety, but I'm glad that Joieâ€™s products are cost-effective and definitely worth it," Camille says with confidence. Joieâ„¢ is a family-first kind of company, driven by the simple joys of childhood. For Joie, itâ€™s all about being together, whether out and about and on the road, or cosy at home and around the table. Joieâ€™s designs have garnered numerous awards, including the prestigious 2016 Best Baby and Toddler Gear Consumer Choice and Best Baby and Toddler Gear Gold Award for Literax 4, a fuss-free one-hand transporter, and some other award-winning products. The company is committed 100% to helping new parents and families worldwide, by having the highest standards for design, engineering and safety. Joie goes far beyond what is standard when it comes to the materials used, and the custom testing regiments each product must undergo. What began in 2011 as Joie Childrenâ€™s Products UK, Ltd. in London, is now an international company that provides safety gears and products for babies and children around the world. With distributors in over 60 countries, Joie also goes to great lengths to reduce environmental impact and give back through charitable contributions and partnerships. Joie products are now available in in the Philippines through their authorized distributor, Europlay Distributor Co. Inc.
You can purchase Joie products at SM Baby Company stores and leading department stores in the Philippines. Check out the latest products from Joie at http://ph.joiebaby.com/. You can also order online through Kids Company or the Joie official store on Lazada. Follow Joie Baby Gear Philippines on social media @joiebabyph on Facebook and Instagram.